Terry Nyland loved horses. He even had a horsey business venture. But he was no cowboy. That was just our attempt at utilising the Mike Harding song to create a catchy title. Sorry about that, but read on. When it came to wrestling Terry Nyland was the real deal. 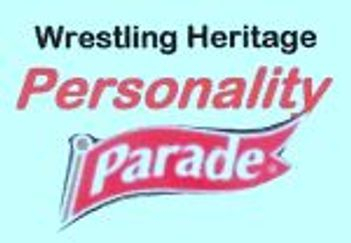 For most readers of Wrestling Heritage traditional British wrestling is all about the memories; memories of smoke filled halls thirty and more years ago. Those memories aren’t confined to the larger than life characters that topped the bills, but to those skilled wrestlers who were usually found in the supporting contests; the men who allowed the stars to shine. Rochdale’s Terry Nyland falls into this category. A promising newcomer of 1950s Northern rings Terry Nyland was destined to never achieve top of the bill status. He was, nevertheless, a popular and skillful welterweight who did have his moments, including a win over Jack Dempsey when the Wigan maestro was at his best. Beancounter said: “He was a regular on TV in the early 1960's and a very good welterweight.” Our earliest memory of Terry was a cracking match against Mike Bennett. No colour or gimmicks in this opening match of the night, just two skilled wrestlers matching one another hold for hold and appreciated by a responsive audience. By then Terry had been wrestling professionally for around ten years. We find him back on the posters as early as 1957, and even then believe he may have been around the professional rings for some time. His interest in wrestling went back to the late 1940s, learning the holds at a gymnasium next to the Langton Arms Public House on Miller Street in Heywood, Lancashire, under the instruction of established professional Bill Hargreaves. Terry’s wrestling activities were soon cut short when he was called up in 1950 for his two years national service, serving in Egypt as a Physical Training Instructor.. When his national service ended and with an eye on eventually turning professional Terry was advised to join a wrestling booth, where he could gain experience of working in front of a crowd, managing an audience and competing with a variety of opponents. It was a tough existence, travelling the country, taking on six and more opponents every day. The photo above shows Terry (second from left) lining up with Cyril Morris (in the mask) and Harry Walker (to his left) at a booth in Liverpool. It was around this time that Terry went into partnership with his brother, opening a riding stables. Commitment to this venture inevitably detracted from Terry’s wrestling goals, making a full time career a little later than it might have been. Terry soon decided there was more to life than cold, wet wrestling booths. Dressing rooms, appreciative fans and a regular income from reputable promoters had an attraction. Time to turn professional. The first few years, we find regular appearances from 1957 but he may have started a year or two earlier, were spent working for independent promoters, opponents including Bob Sherry, Tiger Woods and the Keegan brothers. We find him wrestling for Joint Promotions in 1962, and making his television debut in October of that year against Keith Martinelli. In that same month The Wrestler magazine featured Terry, unsurprisingly announcing him as a newcomer even though he had been around for the best part of a decade. The television debut was the first of more than a dozen appearances during the 1960s. Popular with viewers promoters gave him no easy ride with opponents that included Keith Martinelli, Mick McManus, George Kidd and Joe Murphy. Between times Terry not only travelled the country but wrestled abroad in France, Spain, Germany and Belgium. Another career highlight came on 12th December, 1962, when Terry made an appearance in front of more than 5,000 fans at the Royal Albert Hall. A rather special television appearance came on 5th October, 1964, when Terry and Chic Purvey were featured wrestling on one of the country’s most popular tv programmes, Coronation Street. Terry's matches were mostly in the midlands and northern England for Wryton Promotions and Morrell-Beresford. By the early 1970s Terry seemed to have disappeared from the wrestling scene, and he was one of those that we didn’t miss until sometime later we suddenly realised he wasn’t around any longer. By then he was well and truly established as the landlord of the Wagon and Horses Public House in Rochdale. Terry Nyland died on 11th January, 2018.